The Atlanta Falcons’ stadium hosted the SEC championship game Saturday night. A crew spent all night repainting the field in order to have it ready for today’s Vikings-Falcons game. They did a nice job, with one exception: The hashmarks were in the wrong spot. 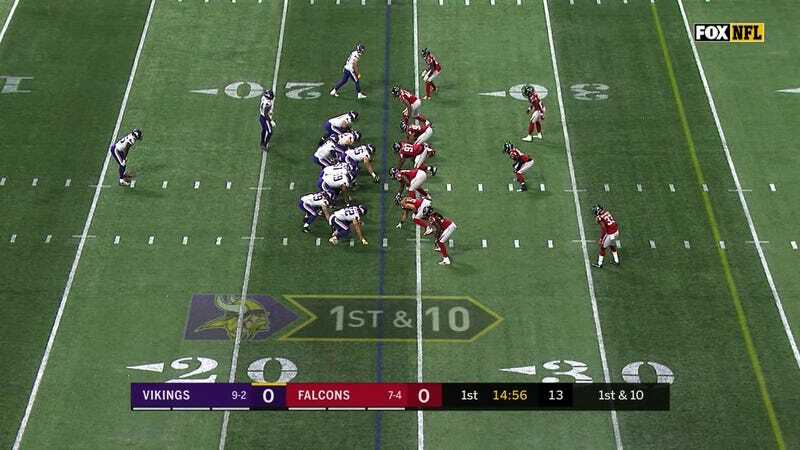 As reported by FOX’s Pam Oliver before today’s game, the hashmarks are about seven inches inside of where they’re supposed to be. She reported the teams were aware of the situation, and officials will just spot the ball seven inches outside the hashmarks when appropriate. These two teams should just be thankful they’re not playing on the same turf as the Big Ten championship game.